A man who forged a will and brought proceedings in the High Court to have the forgery recognised as a true will has been committed to a year in prison for contempt of court. The witnesses to the forged will who also gave false evidence in the claim each received 3 month suspended sentences. Prabhavati Patel died in September 2011. She left a very large estate consisting of numerous business interests across many countries; the empire was estimated to be worth US$200 million. Those interests had been managed for her by her sons, each established in different countries to assist with that task. A will made in 1986 left her entire estate to one of those sons, Yashwant, who was also the sole executor. After her death, Yashwant obtained a grant of probate and set about administering the estate. Numerous disputes concerning the estate then arose in several countries between Yashwant and one of his brothers, Girish, which led to court proceedings in those different jurisdictions. In 2015, after those disputes had been under way for some time, Girish remembered that his mother had executed a will in 2005. The will had been prepared by Girish and executed by Prabhavati while she was visiting family members in London. That will left the entire estate to Girish. Girish then brought proceedings against Yashwant for the grant of probate issued to Yashwant to be revoked and for a grant to be issued instead to Girish under the later will. At trial in that case in 2016, the judge heard a large amount of evidence concerning the 2005 will, including scientific evidence. It did not help Girish’s case that he and the witnesses to the will were caught out lying to the court in their evidence, but the judge also decided that the will made no sense in the context of Girish’s case. Girish had not remembered the existence of the 2005 will until 2014, despite having been engaged in disputes and court proceedings where it would have made perfect sense for him to have relied on it. Instead he had said that his mother had never spoken of having made a will. The provisions in the 2005 will did not even accord with Girish’s case, leaving everything to Girish when Girish said that his mother had wanted to leave her estate to charity. The scientific evidence showed that the signatures on the will had not been made at the same time, Prabhavati’s signature was not consistent with her signature in 2005, and there were traces of another signature on the paper which showed that Prabhavati had signed several pieces of paper, one on top of the other. That was consistent with the evidence that she often signed blank letterhead paper for her companies so that they could operate effectively when she was not in the country. The case was dismissed, but the matter did not end there. Yashwant was awarded indemnity costs, meaning that his costs of the proceedings had to be paid by Girish at a much higher rate than is normally the case. But Yashwant also asked for permission for Girish to be committed to prison for contempt of court. That permission was granted, and the case was placed before Mr Justice Marcus Smith in the High Court, whose decision was made on 7 December 2017. Girish and the witnesses to the will admitted that their evidence given in the case was false. In light of that, they were in contempt of court. Girish, who had commenced the proceedings and signed a statement of truth on the particulars of claim, as well as lying in witness statements and his evidence in court, was committed to prison for 12 months. The witnesses, each of whom swore false affidavits, and lied in their witness statements and in open court, were each committed to prison for 3 months, suspended for 12 months. A warrant of arrest and committal was ordered in respect of Girish, who will be taken to Pentonville prison as soon as he is arrested; once you are found to be in contempt of court and committed, there is no other trial process. This committal to prison is in addition to criminal proceedings relating to the forgery; it only relates to the lies that were told in their evidence. It is quite possible that further sentences will be handed down in the criminal proceedings relating to the forgery. As a chartered accountant, Girish will also likely face disciplinary measures from his professional body that will probably end his career. 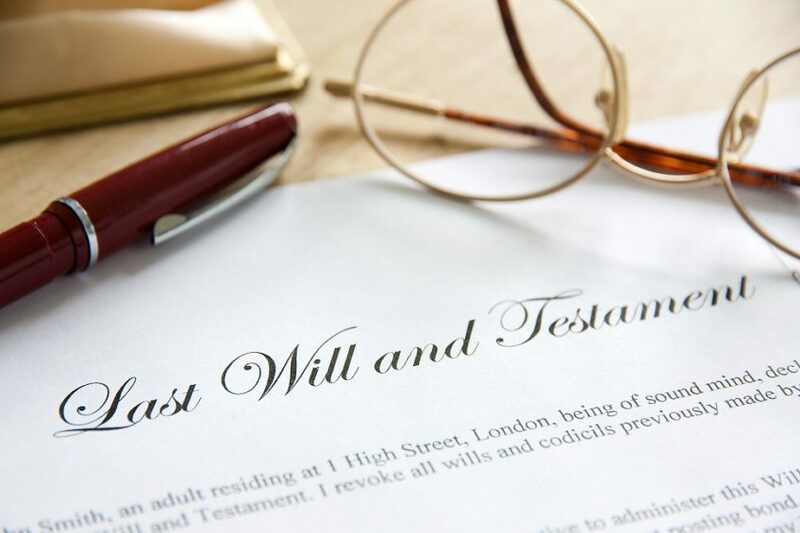 This should be a warning that forging a will, or any other document that could be used in court can have serious consequences. Lying to the court is a serious matter and this case demonstrates that the court will take steps to ensure that those who do so are punished. If you have concerns over the validity of a will, or any other document, contact Ben Parr-Ferris by email to ben.parr-ferris@healys.com.